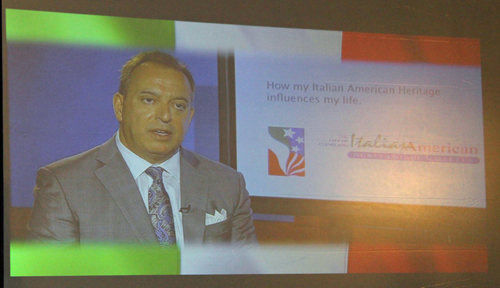 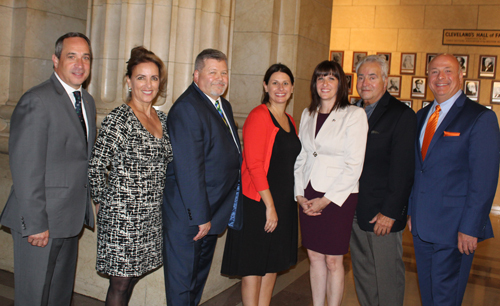 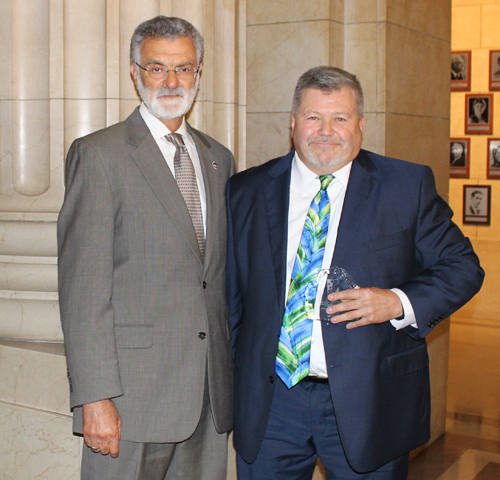 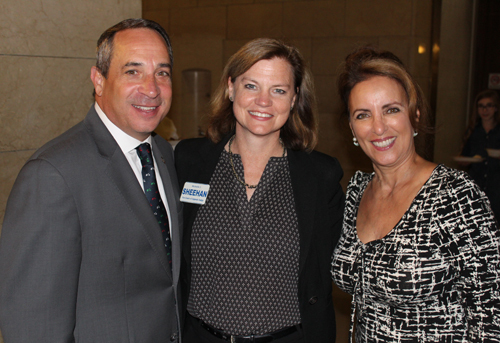 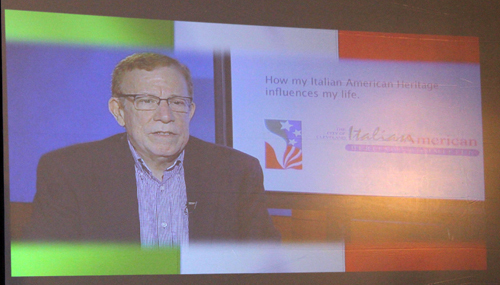 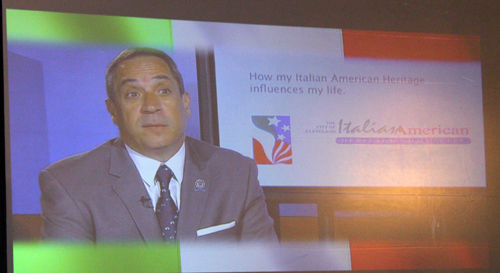 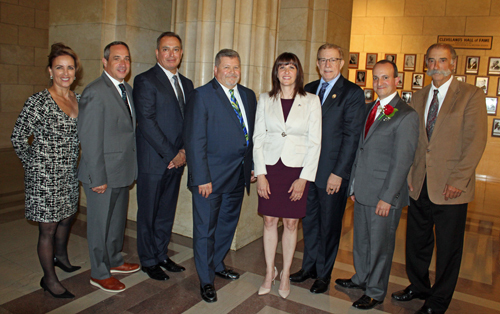 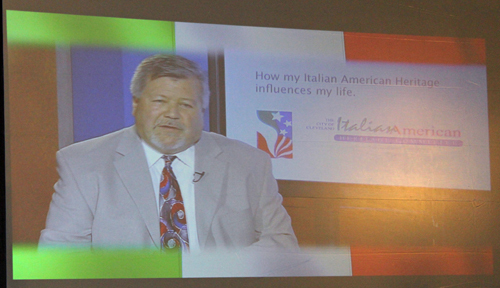 The official opening of a month-long celebration of the Italian-American Community in Cleveland and Northeast Ohio was held on Monday October 1, 2018 in the Rotunda of Cleveland City Hall. 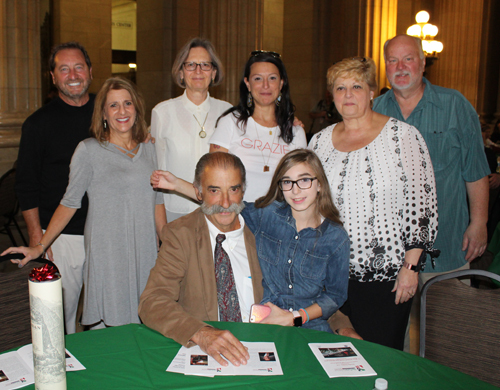 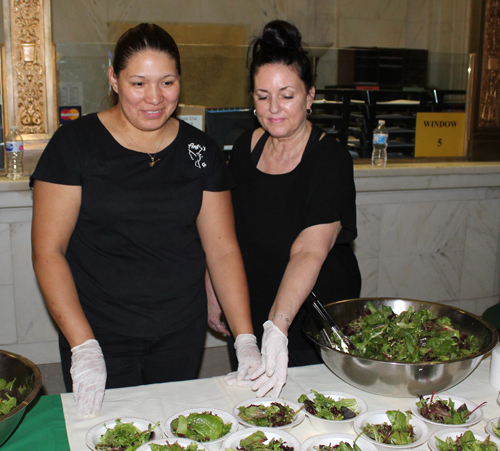 For the last 13 years the City of Cleveland has celebrated Italian Heritage Month with an official opening event in the Rotunda of Cleveland City Hall on the first Monday of October. 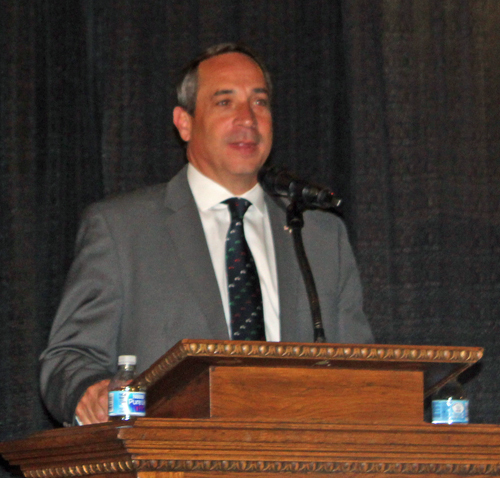 Councilman Matt Zone welcomed the crowd. 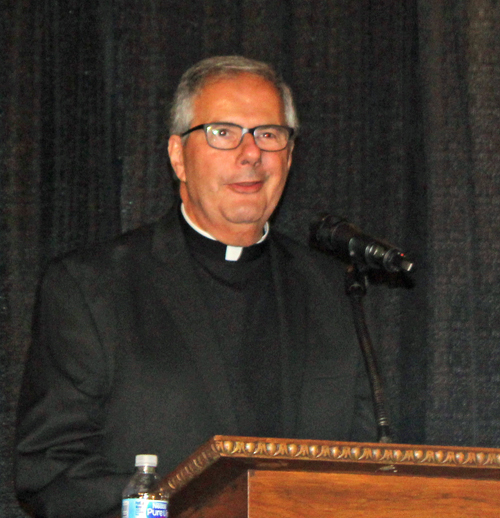 Matt called on committee chair Pamela Dorazio Dean who introduced Father Martin Polito of Holy Redeemer Church for the invocation. 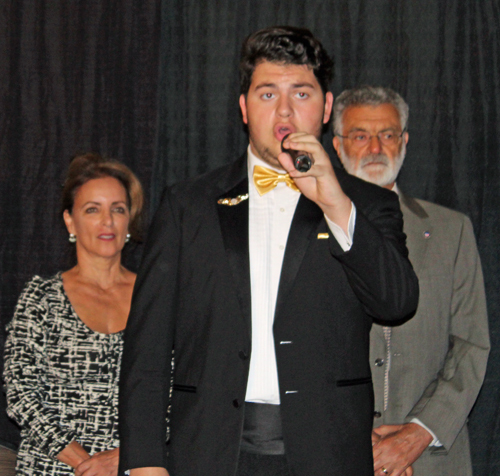 Next, Pamela introduced Giovanni Castiglione who sang the national anthem of Italy. 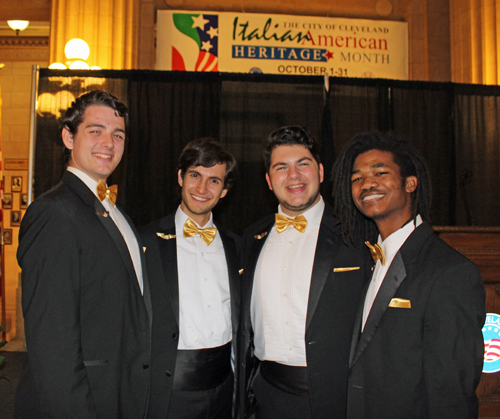 Giovanni was then joined by Kyle Fisher, Brandon Zlotnik and Hollis Wilson who form the quartet Wing It for the US national anthem. 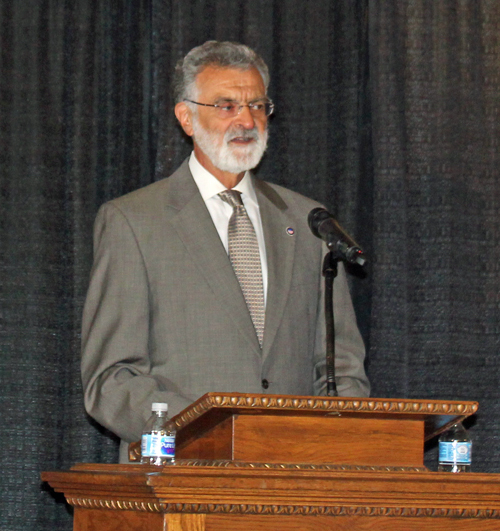 Next, Pamela Dorazio Dean introduced Cleveland Mayor Frank Jackson who presented a proclamation recognizing the event. 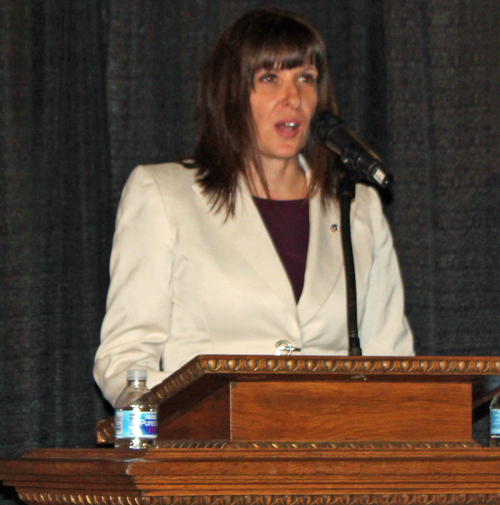 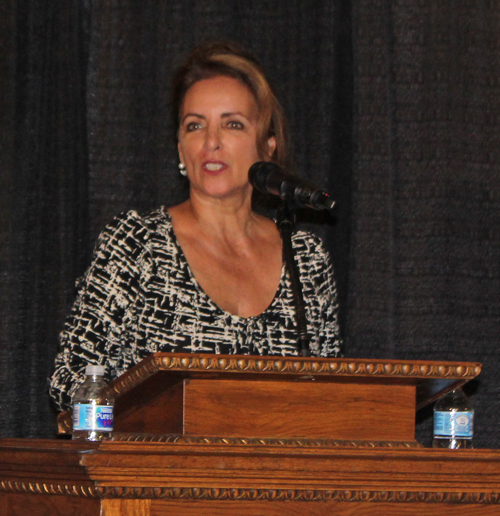 Committee Treasurer Rose Zitiello introduced the committee members and sponsors. 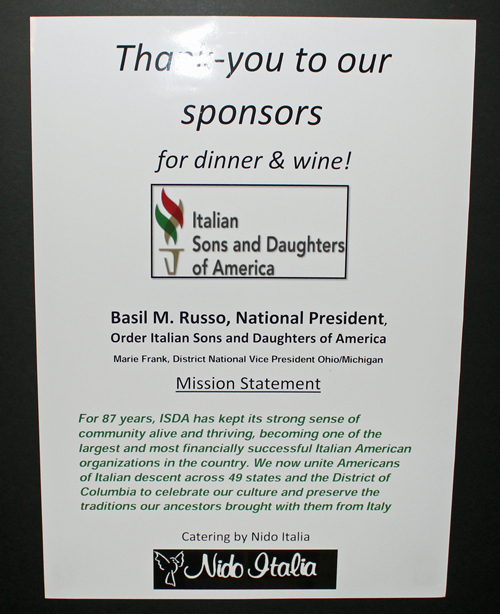 Basil Russo, National president of the Italian Sons and Daughters of America, was unable to be there but Pamela Dorazio Dean read his remarks. 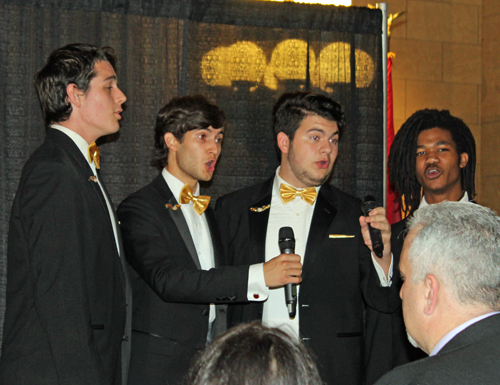 This was followed by the awards presentation. 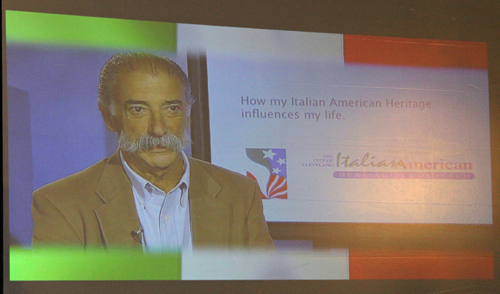 6 people were honored and a video was played showing an interview with each. 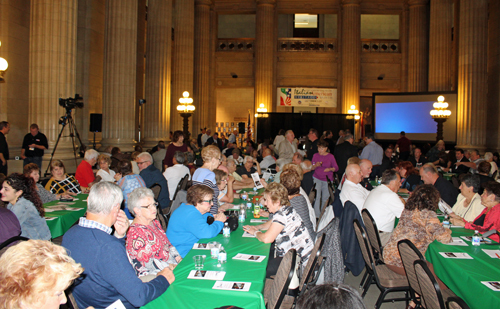 Tom Cirincione was honored with the Culture Award for his genealogy work with Pursuing Our Italian Names Together (POINT) now known as the Cleveland Italian Ancestry Organization (CIAO). 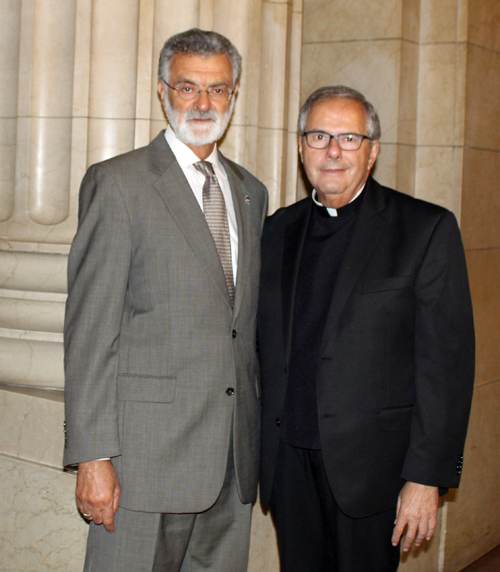 George Leggiero was honored with the Arts Award for his work as carillonneur for 45 years at the Church of the Covenant and University Circle. 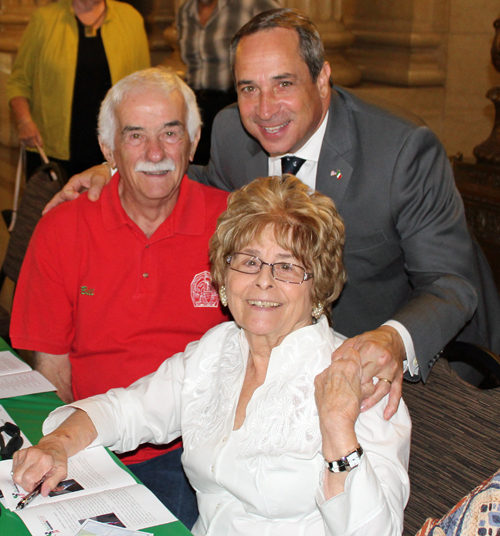 He has played on the tower's 47 Dutch bronze bells for various events. 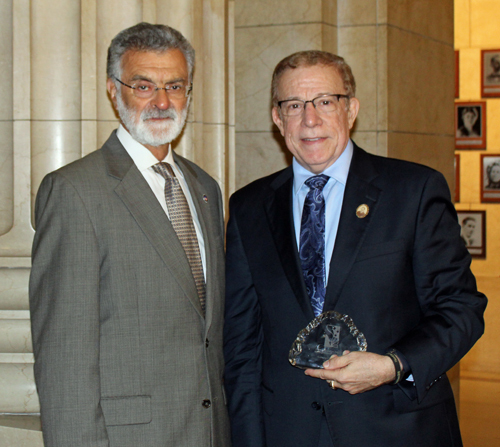 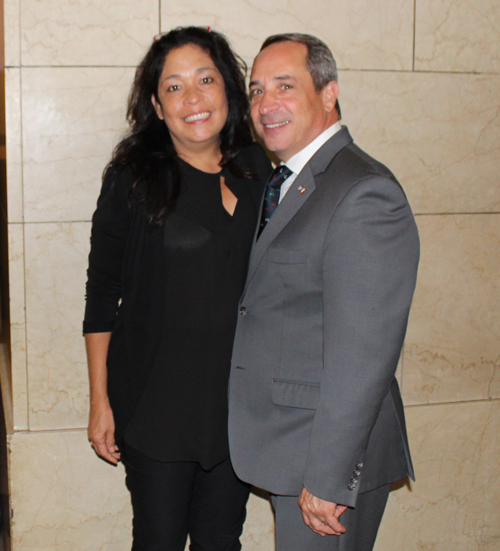 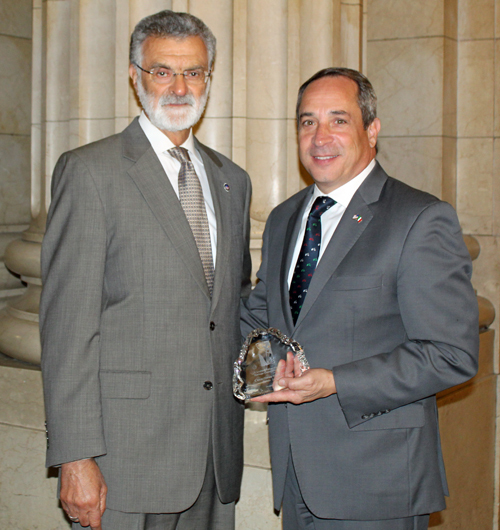 Robert A. Lippucci was honored with the Individual Award for his work with the Southwest Italian American Club. 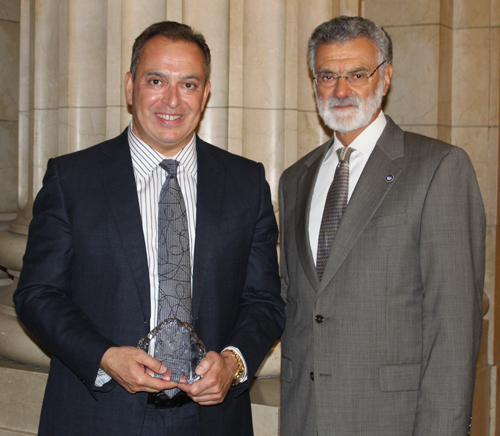 Frank T. Sinito was honored with the Corporate Award for his work as CEO of the Millennia Companies and his work at True Freedom Ministries. 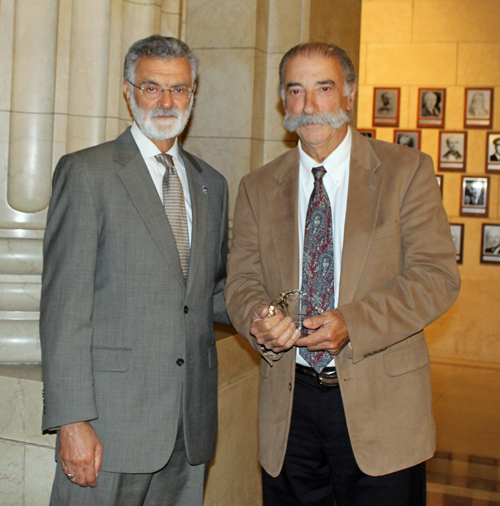 Mike Spena was honored with the Small Business Award for his work at Spena Landscaping and in the Italian Cultural Garden. 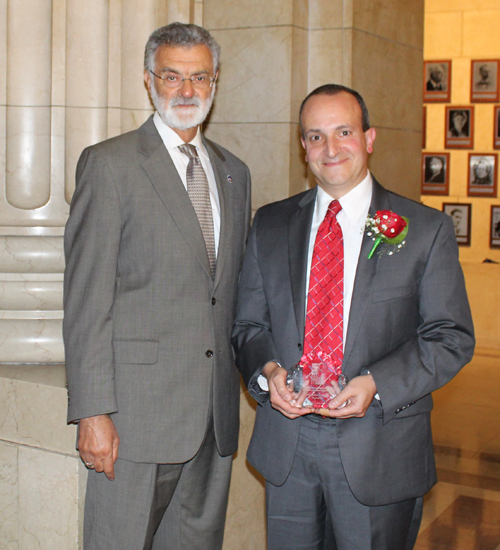 Cleveland Councilman Matt Zone was honored with the Public Servant Award for his work in the neighborhoods and service to the City. 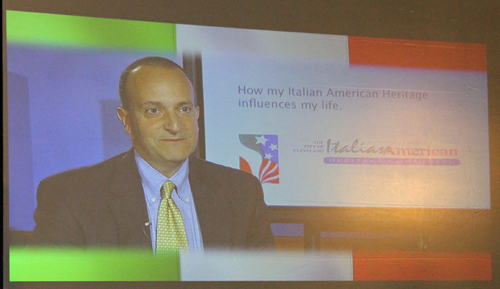 In closing, Councilman Matt Zone thanked the crowd for coming and Father Martin Polito gave the blessing before eating. 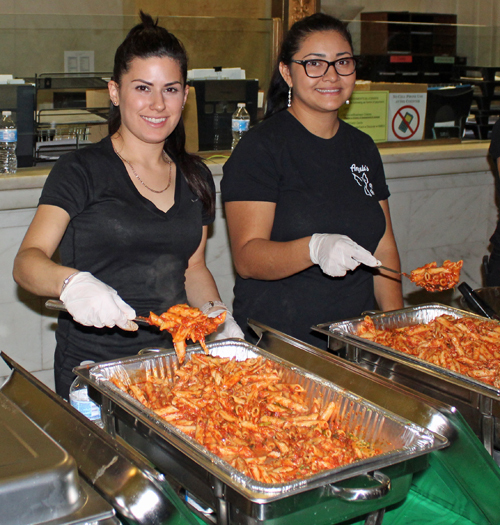 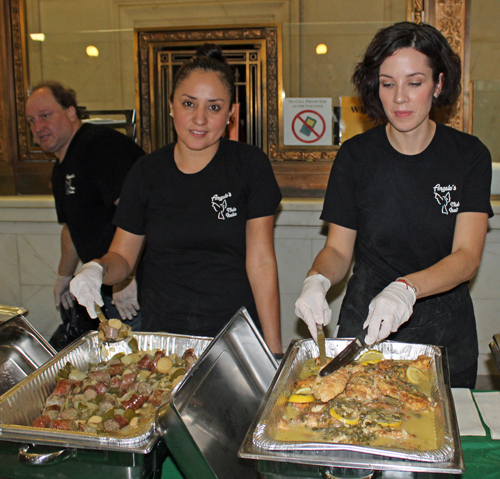 Enjoy these other images from the 2018 Italian Heritage Month event at City Hall. 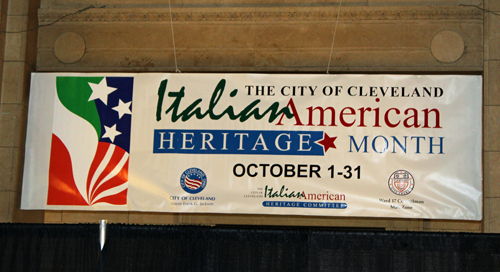 Like the work of ClevelandPeople.Com?